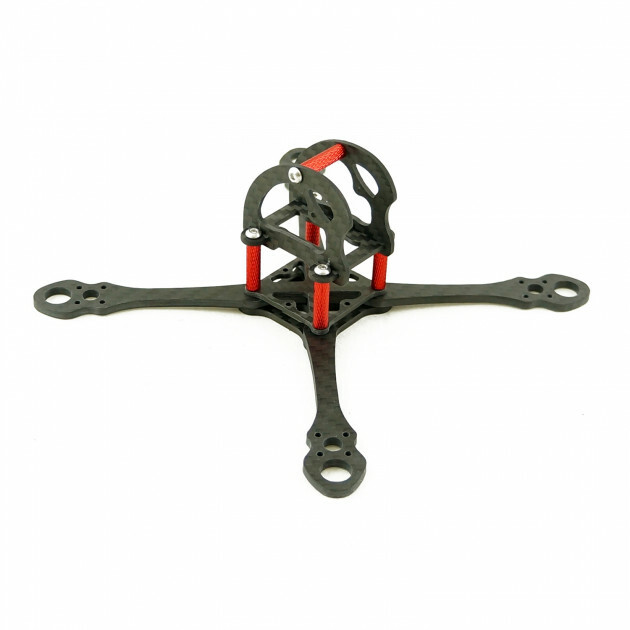 The Rotorama Needle V2 is a lightweight (41g) yet very durable frame designed for a 4 "(and smaller) propeller. Thanks to its sophisticated split-arm design, its installation and possible arm replacement is very simple. The carbon fiber cabin perfectly protects the micro camera and also incorporates the video transmitter. The frame has minimal aerodynamic drag, which, combined with the 1407 engines and 4S, delivers the ultimate flight characteristics that will not leave even the finest and seasoned piles. The frame is designed for 1407, 1402, 1306 and the like. Regulators are recommended to use 4in1 to maintain the benefits of narrow arms. The mounting dimensions for FC and regulators can be used both in the standard 30.5x30.5 mm and 20x20 mm through the reduction. Classic micro cameras can be mounted in the cabin. maximum propeller size 4 "